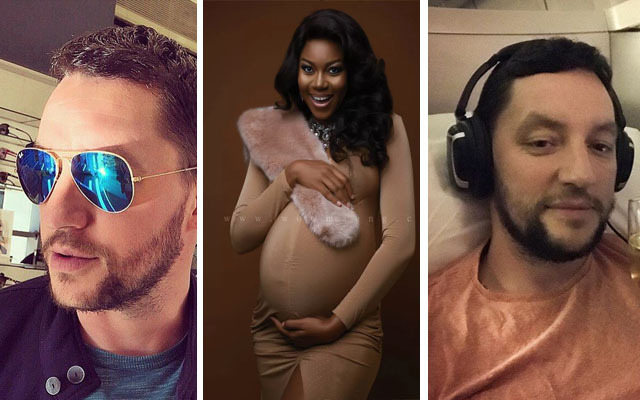 Ever since it became public knowledge that Yvonne Nelson has given birth to a baby girl last week, the question on everybody’s lips has been ‘Who is the father of her child?”. Ghpage.com has had countless search so we had to go digging and now we have found him. The baby daddy of Yvonne Nelson’s child is a white man and he is called Roberts. He is a fashion photographer from London. In the exclusive interview granted by Yvonne Nelson to Nigerian based magazine WOW, Yvonne revealed he rejected the proposal of her former boyfriend because he was based in London and wanted her to moved there. So it’s a little bit surprising she later fell in love with London based man. According to Yvonne Nelson, she would love to be married to him but she can’t pressure him to marry her. She also revealed she decided to give birth after waiting for a husband for a long time.